Named one of the "Best Apps of 2016" by the New York Times and Time Magazine! 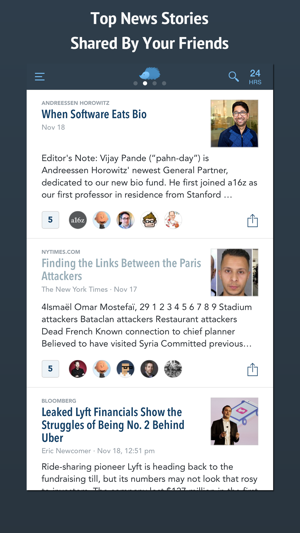 Nuzzel offers personalized news discovery for busy professionals. 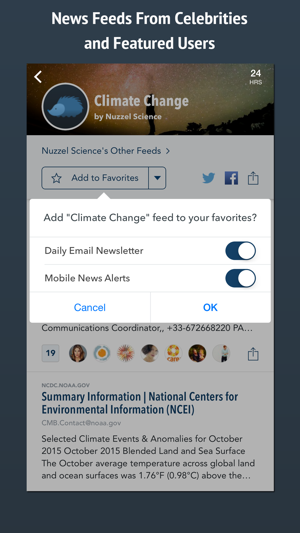 That’s why top influencers in media, technology, and finance use Nuzzel to save time and stay informed. 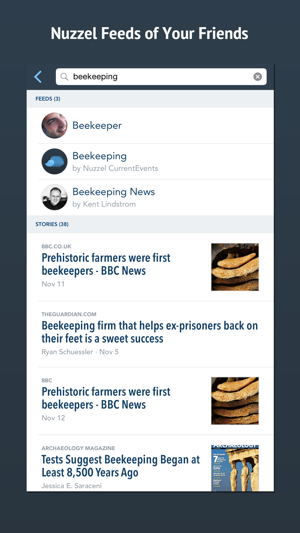 • iPad version can now start in landscape mode. 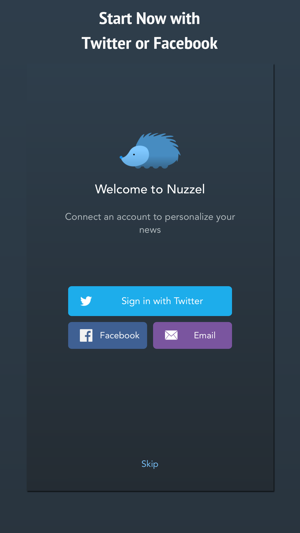 • Fixed issue that was preventing some users from adding additional social media accounts to their Nuzzel account. I trust the news I get with Nuzzel. It’s changed how I get a good portion if my news. If you don’t use it, you should try it. But I have a few requests. I don’t always have a chance to catch all the items in my feed. Life happens. When I see something interesting in Notifications and open the app, I watch as old items fade away and are gone and new items appear. It would be nice to have a way to see my recent items, at least a bit into the past. I read Nuzzel on an iPad. On many websites, although not all, I can adjust the text size on my iPad. I have the screen space, so why not? But Nuzzel doesn’t let me adjust text size. Is there a way to fix this? Thanks for continuing to support this great app. Overall a good app, but there are still issues for people using voiceover with the app. 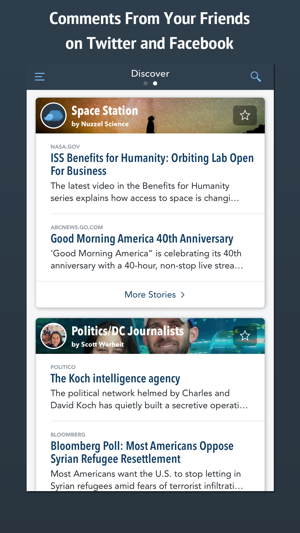 There are still unlabeled buttons, and also it only seems to show a few stories at a time before going back to the first story that you land on when you first go into the app. 1. Remove the Facebook login “requirement”. I keep getting a notification to connect Facebook, and I hate Facebook. 2. Enable “Swipe to go back”. This is available on nearly all other news readers. I just want to swipe from the left side to get back to the article list.